A great marketing email – whether a newsletter, specific promotion, or other – is built with a primary purpose in mind. That purpose will dictate the kinds of materials you’ll want to include in that email. If you want to push traffic to your site you go image heavy with strong contextual content and a heavy dose of salesmanship. If you’re looking to touch base with clients you’ll want to include relevant information that they’ll find useful – the better to enhance your brand in their mind. 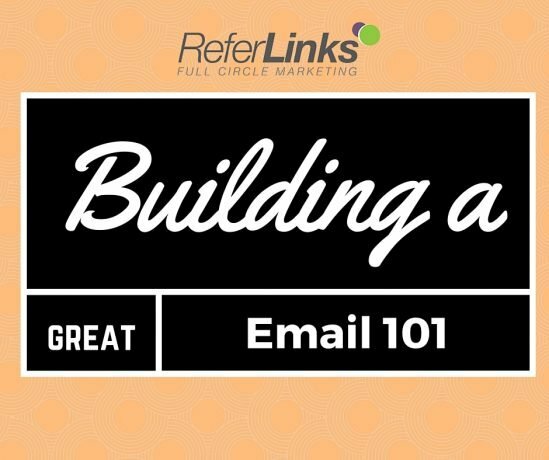 Once the purpose has been settled it’s time to build the email itself and that means incorporating all the components that maximize its effectiveness. Preview text is pulled from the first lines of text found in the body of an email and will appear under the subject line in most email programs. A great email has preview text that further lures the reader into opening up the email and reading all the great material you’ve provided for them. Nearly all content in an email will be text, images, or a mix of the two. Building compelling content then is critical to its success. Make sure you have relevant information presented in an entertaining manner that can both enlighten your clientele and encourage them to engage with you further. If you’re having trouble building great content yourself you should consider hiring a company with expertise to help you. When driving traffic you want your clients clicking those links. There are a lot of smart methods to do this. Relating it to great content in your email is the number one driver. Another is to tease a blog post on your website within your own email. If done right the client will access your site which will promote further interaction with your company. Video is becoming ever-present on the internet which makes it an important way to build bridges to clients. A video can do some great things – it can put a personality to your brand and explain complexities in an interesting and entertaining way. Done right, a video can push your company’s services or products in ways that text and images simply can’t. Social media is becoming a more and more vital tool for pushing commerce. Don’t be content with sticking a few social media stickers at the end of your email. Try to garner greater engagement by offering promotions only for those who subscribe to your social media accounts. If they get on board this will greatly increase your ability to reach customers. A great email begins with a purpose and needs to include the right components to see its mission realized. If you need additional expertise in making your email content great contact us at ReferLinks FCM today.